AIRS, the global leader in recruitment training offers six industry-recognized certifications and more than 35 courses. The BlueSteps candidate database for AESC members is now comprised of 90,000+ global professionals, from Director-level through C-suite. BlueSteps offers quick, targeted search, salary benchmarking, and a tool to post an open search exclusively within BlueSteps. Cluen is the leading developer of executive recruiting software solutions. Our seventh-generation recruiting software Encore has been refined through more than two decades of research and development fueled by the thousands of search professionals in Cluen’s user community. Discover why AESC Members prefer Cluen over other providers. Invenias by Bullhorn is the world’s leading provider of software solutions to professionals responsible for executive search. Based on an enterprise scale, cloud-based platform, Invenias is used by more than 1,000 companies worldwide to transform the productivity of their search operations. Invenias operates within the Bullhorn family and serves thousands of users in over sixty countries across the globe. Invenias by Bullhorn is committed to advancing the executive search industry around the world, and is a global strategic partner of the Association of Executive Search and Leadership Consultants (AESC). To learn more, please visit https://www.invenias.com. The Mintz Group sets the standard for background checking of executive and board candidates, from long list to finalist, globally. As an Official Partner of the AESC, The Mintz Group provides AESC member firms with preferred service and pricing. PHOENIX EXECUTIVE is a global recruitment research and search company. We believe that our 50+ years combined experience and expertise gives us a unique strength to bridge continents and find the right candidates. We provide a complete search service, including the creation of talent pools and competitive analysis. 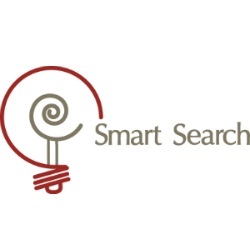 Founded in 1996, Smart Search is honored to work with clients ranging in size from small, highly specialized firms to large, global firms and alliances. Our training programs for researchers, associates, and consultants are custom-designed to meet the needs of each group. We work all around the world with individuals and teams of all sizes.